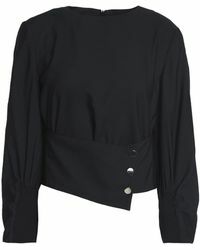 Founded in 1997 by Amy Smilovic, Tibi is a New York City fashion label known for its clean, relaxed and feminine designs that are perfect for day or eveningwear. 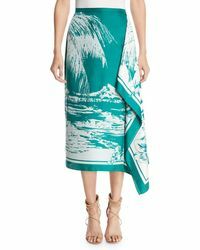 Tibi began as a small line of contemporary dresses designed after Smilovic moved to Hong Kong; rapidly gaining success, the line was extended and the first Tibi retail store was opened in New York in 2006. 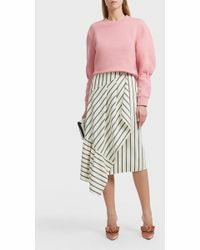 From immaculately pleated, ladylike midis to playful, flippy minis, Tibi skirts radiate youthful energy. Delicate prints and a pretty colour palette nod to 50s glamour, for skirts that add instant style to any closet. 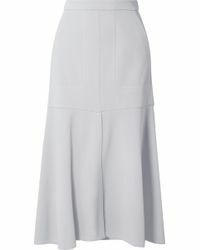 Showing 1,794 results for "Women's Tibi Skirts"